Nonetheless I wanted to show you two lovely ombre blushes by MAC I picked up about two weeks ago. I'm really late with this post as most of the products from this LE - the Daphne Guinnes LE are already sold out but you might be lucky and find some of them at MAC counters. Both of them are repromotes. The first one I bought is Azalea Blossom. It has a light pink side and a lovely purple lilac side. The colour payoff is good but it's a light colour so you might pack on a little more product than usual. The texture is really smooth and it's easily blendable. The swatches on my hand are swatches of the dark colour, the lighter colour and then both mixed together. 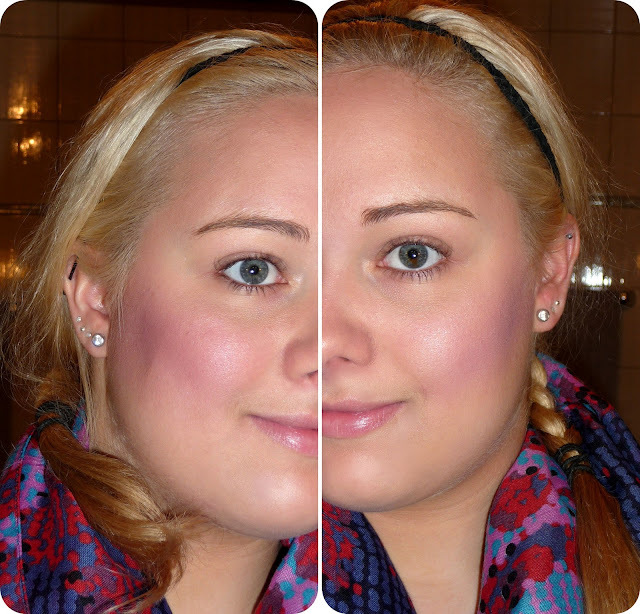 To show you how the blushes look on the cheeks I took a photograph wearing them. 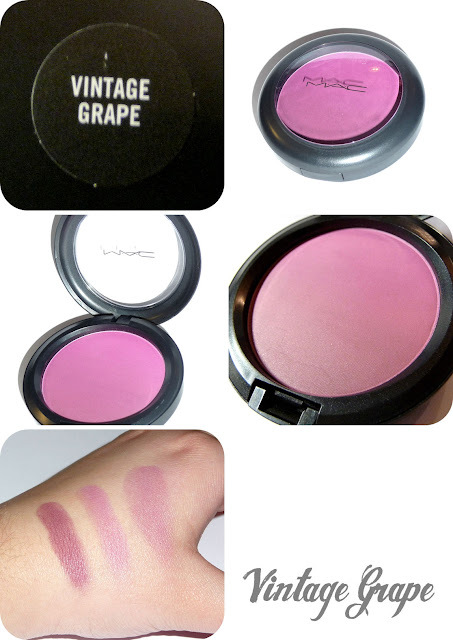 The left side is Vintage Grape and the right side is Azalea Blossom. 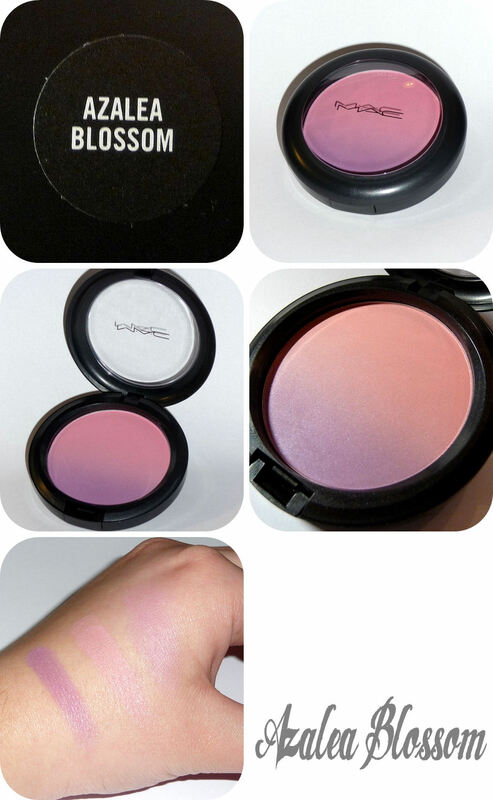 Do you like ombre blushes? Have you bought anything from the Daphne Guinnes LE?